F. Wheeler, Donovan L. Mathias Icarus Available online 6 December 2018 LINK (OPEN ACCESS) PDF (OPEN ACCESS) “Highlights • The PAIR model is used to assess 50 million Tunguska-scale asteroid impacts with probabilistically distributed properties…. 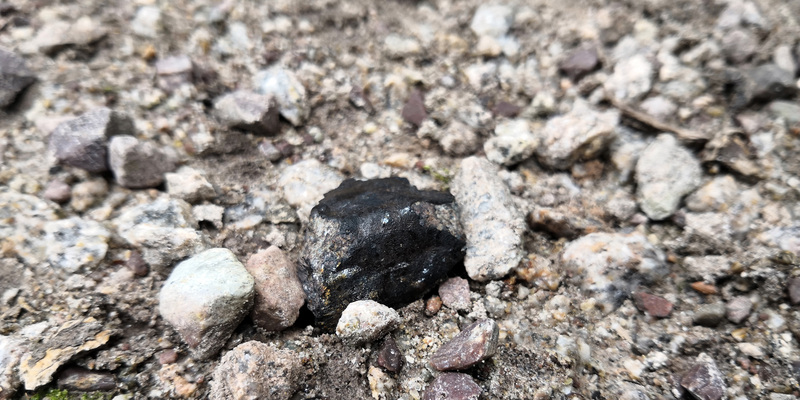 Ming Chen, Jinfu Shu, Xiande Xie, Dayong Tan Meteoritics & Planetary Science First Published: 30 November 2018 LINK “Maohokite, a post‐spinel polymorph of MgFe2O4, was found in shocked gneiss from the Xiuyan crater in China…. Kamenetsk—A new impact structure in the Ukrainian Shield. Gurov, E., Nikolaenko, N., Shevchuk, H. and Yamnichenko, A. Meteoritics & Planetary Science. doi: 10.1111/maps.12951 LINK “The Kamenetsk impact structure is a deeply eroded simple crater that formed in crystalline rocks of the Ukrainian Shield…. 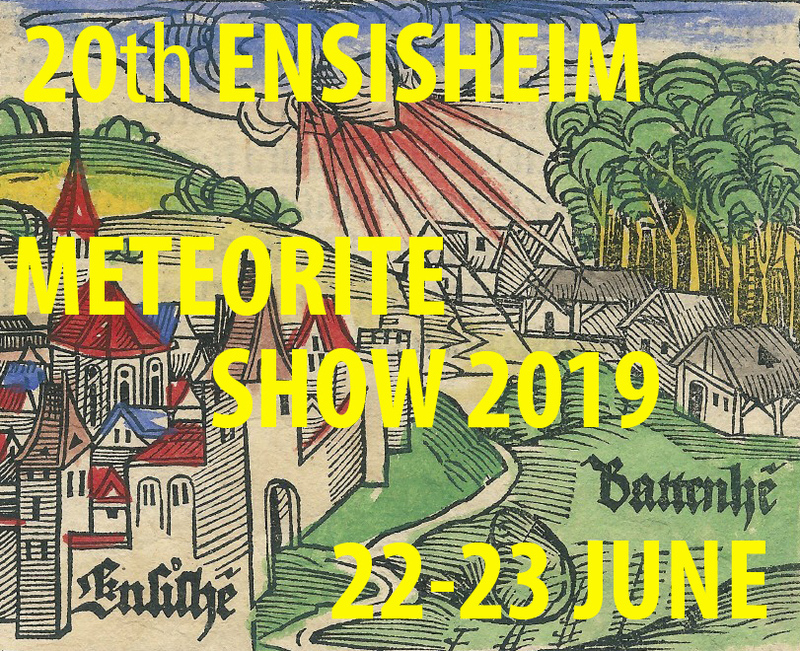 Meteoritic matter from the Ries and Steinheim impactors? Hydrothermally enhanced magnetization at the center of the Haughton impact structure? Implications for behavior of volatile elements during impacts—Zinc and copper systematics in sediments from the Ries impact structure and central European tektites. High-pressure minerals in shocked meteorites. Reconstruction of the Morasko meteoroid impact—Insight from numerical modeling. Coesite in suevite from the Ries impact structure (Germany): From formation to postshock evolution. Geochemical evidence of an extraterrestrial component in impact melt breccia from the Paleoproterozoic Dhala impact structure, India. Evidence for a spatially extensive hydrothermal system at the Ries impact structure, Germany. Impact-related thermal effects on the redox state of Ca-pyroxene. An unusual occurrence of coesite at the Lonar crater, India. The Lawn Hill annulus: An Ordovician meteorite impact into water-saturated dolomite. Strontium and neodymium isotope systematics of target rocks and impactites from the El’gygytgyn impact structure: Linking impactites and target rocks. Nondestructive spectroscopic and petrochemical investigations of Paleoarchean spherule layers from the ICDP drill core BARB5, Barberton Mountain Land, South Africa. The “suevite” conundrum, Part 1: The Ries suevite and Sudbury Onaping Formation compared. The fate of moderately volatile elements in impact events—Lithium connection between the Ries sediments and central European tektites. Hyperspectral mapping of alteration assemblages within a hydrothermal vug at the Haughton impact structure, Canada. Impacts into quartz sand: Crater formation, shock metamorphism, and ejecta distribution in laboratory experiments and numerical models. Subsurface deformation in hypervelocity cratering experiments into high-porosity tuffs. S. Marchi, A. I. Ermakov, C. A. Raymond, R. R. Fu, D. P. O’Brien, M. T. Bland, E. Ammannito, M. C. De Sanctis, T. Bowling, P. Schenk, J. E. C. Scully, D. L. Buczkowski, D…. Formation of shatter cones in MEMIN impact experiments. The current state of knowledge about shatter cones: Introduction to the special issue. Shatter cones at the Keurusselkä impact structure and their relation to local jointing. The Cretaceous/Paleogene (K-Pg) boundary at the J Anomaly Ridge, Newfoundland (IODP Expedition 342, Hole U1403B). A study of the observed shift in the peak position of olivine Raman spectra as a result of shock induced by hypervelocity impacts. Coesite in suevites from the Chesapeake Bay impact structure. The two Suvasvesi impact structures, Finland: Argon isotopic evidence for a “false” impact crater doublet. 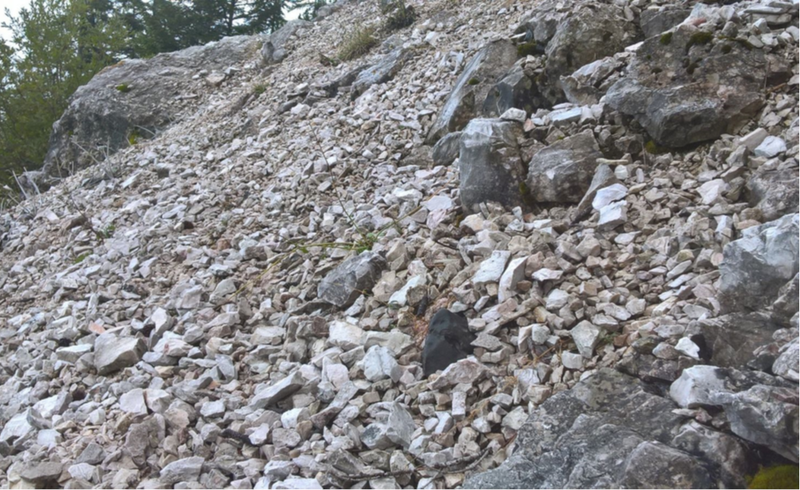 Dating a small impact crater: An age of Kaali crater (Estonia) based on charcoal emplaced within proximal ejecta. WIP: A Web-based program for indexing planar features in quartz grains and its usage. Scaling and reproducibility of craters produced at the Experimental Projectile Impact Chamber (EPIC), Centro de Astrobiología, Spain. Saqqar: A 34 km diameter impact structure in Saudi Arabia.